Framingham, MA is a city in Middlesex County with a population of 68,000. Formerly the biggest town in not only Massachusetts but in the country, it just became a city at the beginning of 2018. 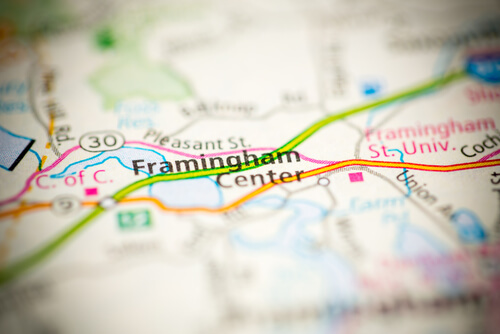 Framingham is home to a number of corporate offices (Bose, TJ Maxx, etc.) due to its proximity to Boston and also Framingham State University. With our store located just down the Mass Pike in Shrewsbury MA, we have sold & repaired hundreds of oriental rugs to our loyal customers in Framingham, MA. Owner and founder of Persia Oriental Rug, Michael Sadigh, has over 30 years of experience in selling, repairing & cleaning rugs. Upon graduating from Northeastern University in the early 80’s, Michael has invested his life in oriental rugs. He comes from a long line of selling and repairing rugs with his brother selling rugs in Austria for over 40 years. For more information about our high-quality rug products and services, please give Michael a call at 508-753-4667.